As a follow up to Shortest terminating program whose output size exceeds Graham's number and Golf a number bigger than TREE(3), I present a new challenge. Loader's number is a very large number, that is kind of hard to explain (since it was itself the result of a code golfing exercise with a flexible goal). There is a definition and explanation here, but for the purposes of self-containment, I will attempt to explain it later in this post as well. The algorithm Ralph Loader used produces one of the largest numbers of any (computable) algorithm ever written! Indeed, Loader's number is the largest "computable" number on the Googology Wiki. (By "computable" number, they mean a number defined in terms of a computation.) That means that if answer produces a number larger than Loader's number in an interesting way (i.e. not just Loader's number+1), you could go down in Googology history! That being said, programs that produce something like Loader's number+1 are definitely valid answers and contenders to this question; just don't expect any fame. Your job is to create a terminating program that produces a number larger than Loader's number. 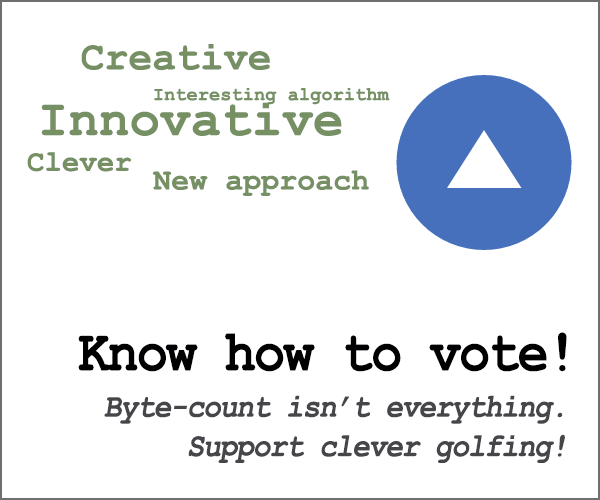 This is code-golf, so the shortest program wins! You aren't allowed to take input. Your program must eventually terminate deterministically but you can assume the machine has infinite memory. Infinities are not allowed as output. Underflow of a number type throws an exception. It does not wrap around. You need to provide an explanation of why your number is so big and an ungolfed version of your code to check if your solution is valid (since there is no computer with enough memory to store Loader's number). So here is an explanation of Loader's number. See http://googology.wikia.com/wiki/Loader%27s_number and the links therein for more precise details. In particular, it contains a program that produces Loader's number exactly (by definition). The calculus of constructions is essentially a programming language with very particular properties. First of all, every syntactically valid program terminates. There are no infinite loops. This will be very useful, because it means that if we run an arbitrary calculus of constructions program, our program will not get stuck. The problem is that this implies the calculus of constructions is not Turing complete. Loader's number is essentially a busy beaver number for the calculus of constructions, which is possible to compute since all coc programs terminate. In particular, loader.c defines a function called D. Approximately, D(x) iterates over all bit-strings less than x, interprets them as a coc programs, runs the syntactically valid ones, and concatenates the results (which will also be bitstrings). It returns this concatenation. //      a is the current node we're searching. //      h is the base hydra. // The first index is the value of the node. // If the node we're looking at is positive, do a fancy transformation. // If the node we're looking at is zero, make more heads. I know I have some work to do to bring the bytecount down. This is based on the Buchholz hydra, so it's likely in roughly the same range as Loader's number. However, instead of computing the value of BH, it has a single counter for \$n\$ and then attempts every possible strategy on the hydra (in terms of order of the leafs chosen). This is interesting because though a breadth-first search does finish because the sequence of \$n\$s for any given hydra are bounded above by \$n^n\$, it's not clear that doing a depth-first search would ever finish. This is because the starting value on the second hydra would be larger than the final value of the first hydra, and the process would (likely) go on infinitely. If someone proved that any ascending chain of strategies \$S_i\$ (where \$S_i<S_j\iff S_i(a)<S_j(a)\forall a\in S_i\$, any strategy of picking leaf nodes would finish every hydra, we'd have an even stronger function, trivially obtainable from this one. For this reason, it feels like it's (meaningfully) stronger than the Buchholz hydra, but I'm honestly not certain. I don't know if this beats Loader's number, though I think it's similar in magnitude. It's also too long, and I need to fix that. But I spent too long on this problem not to post something. It's also not really competitive, as it's over 512 bytes (though it might be possible to get it down). Not the answer you're looking for? Browse other questions tagged code-golf math number busy-beaver or ask your own question.